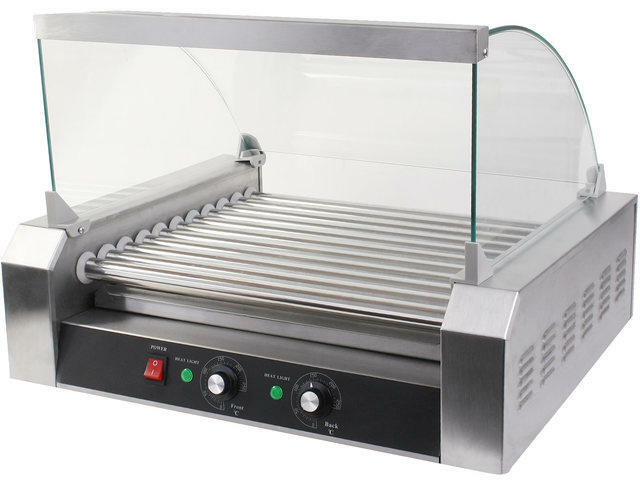 Our hot dog machine cooks up to 30 hot dogs at a time. This unit has rubber skid-proof feet, making it great for tabletop use. This unit also comes with a glass shield to protect food from elements.